Wild winter weather has led to an early emergence of ticks and with tick season now officially underway, we’re laying out the tips to make sure your dog stays safe. Ticks are found virtually everywhere in California and if you visit woodsy areas with tall grasses, like the Marin Headlands, you will want to check your dog for ticks once you leave. 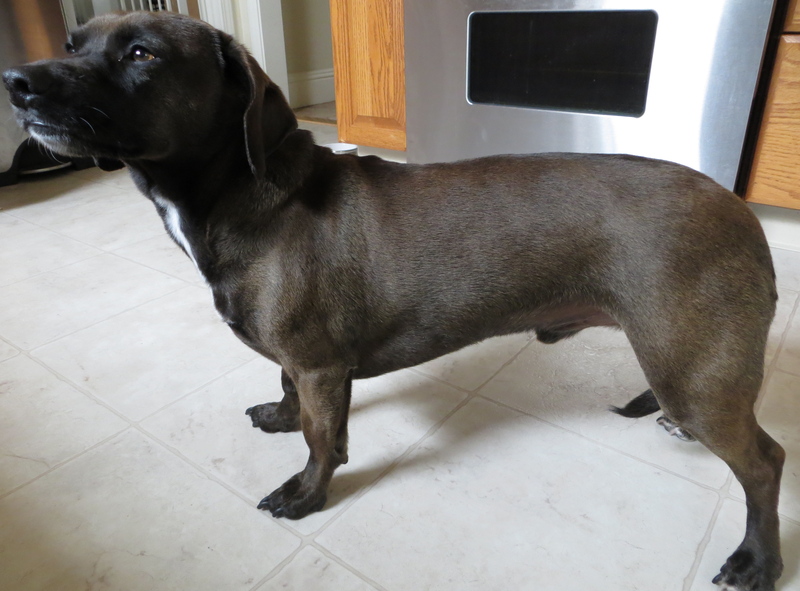 “Comb your dog or look him over thoroughly after outings to find ticks before they attach,” Dr. Brandy Vickers of Avenues Pet Hospital says. It’s important to check your dog as soon as possible after leaving wooded areas. 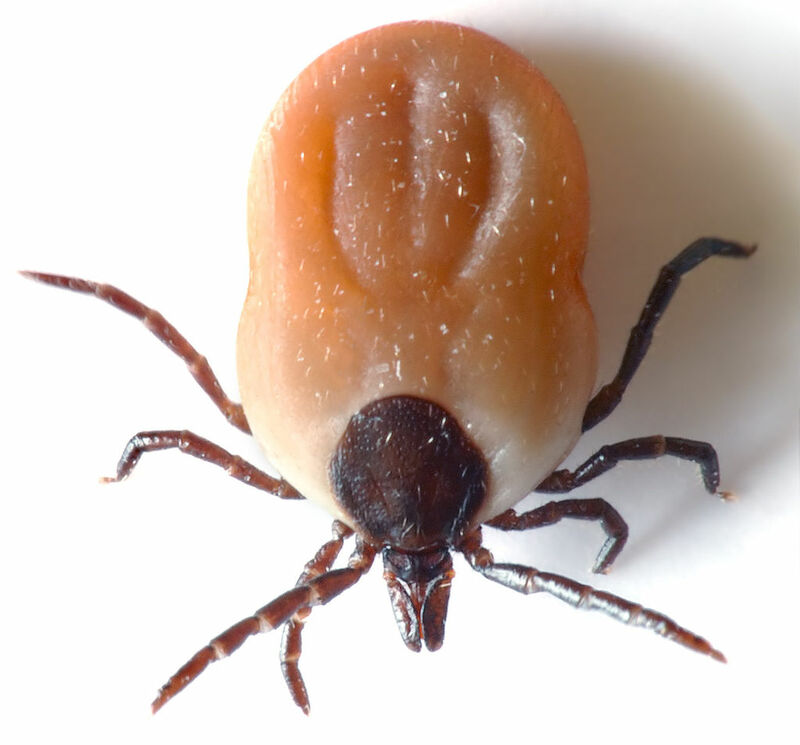 The faster you find a tick and have it removed, the lower the risk of transmission of tick-borne diseases. Bay Area dog walkers gathered at Fort Mason Wednesday afternoon to protest the Golden Gate National Recreation Area’s proposal to immediately reduce the number of dogs commercial dog-walkers can take to popular parks in San Francisco, Marin and San Mateo counties. The GGNRA wants to implement an interim rule reducing commercial dog-walker groups to six, rather than eight, dogs at parks like Fort Funston, Crissy Field, Ocean Beach, Stinson Beach and others. This rule is part of the controversial 1500-page Dog Management Plan, which is currently undergoing a government-mandated review process. Dog walkers say reducing the number of dogs they can take will hurt their business, resulting in higher rates for customers. The other option would be frequenting city parks instead of national parks. That’s exactly what San Francisco City Supevisors are afraid of. They are against the Dog Management Plan because they say it doesn’t adequately address the overflow at city parks which will result from restricting access to the national parks and will be a drain on city resources. Follow all the latest updates on the GGNRA proposal with the Save Off Leash group’s website and Facebook page. We at Yellow Dog Blog are huge fans of legitimate, hard-working rescue groups. After all, a Bay Area rescue saved Yellow Dog and Sundown! But it is heartbreaking to know not all dogs are so lucky. In fact, roughly 9,000 innocent animals are put to sleep every day across the U.S. simply because there aren’t enough people willing or able to adopt. So we’ve launched a new series on YDB highlighting rescue groups in California, the Rescue Me series. We start with Pug Rescue of Sacramento, or PROS. PROS was founded in the early 1990s when Sacramento breeder Marianne Herzberg-Stanley found many pugs in need of homes. PROS was incorporated as a non-profit in 1996 and since then, they’ve rescued thousands of pugs, taking in more than 100 dogs a year. 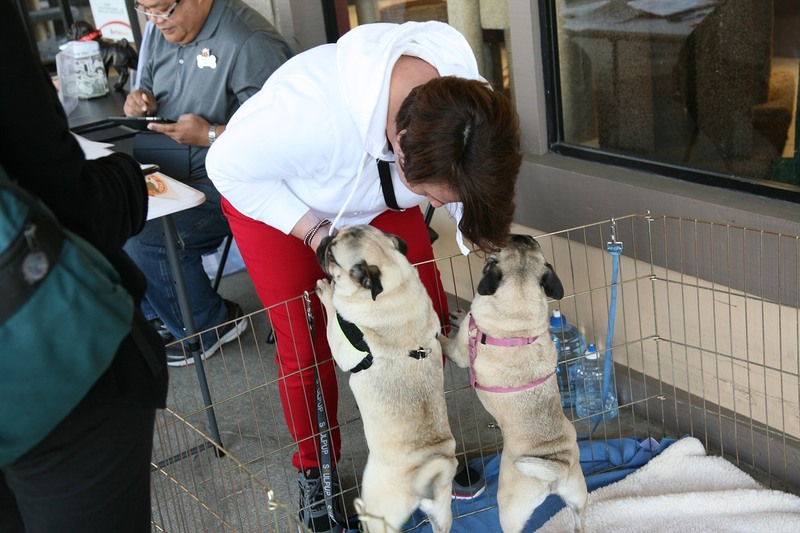 Two pugs greet a visitor at a PROS adoption event at Pet Food Express in Benicia. PROS President Jan Grover has been working with the organization for 12 years, including three as president. She says the pug breed is special. Dedicated volunteer and Dublin resident Elena Temples got involved with PROS more than ten years ago when she took her first pug puppy to Pug Sunday at Heather Farms Park in Walnut Creek. Chances are if your pet is overweight, you don’t even know it. At least that’s what a survey by the Association for Pet Obesity Prevention (APOP) says. Roughly 45 percent of pet owners with an overweight or obese pet thought their animal was at a healthy weight. The majority of dogs and cats in U.S. households are now overweight, with 52.5 percent of dogs and 58.3 percent of cats above their ideal weight. Dr. Brandy Vickers of Avenues Pet Hospital in San Francisco says it’s something she sees all too often. “I would say two-thirds to four-fifths of the pets I see for regular check-ups are overweight to obese,” Dr. Vickers says. Sundown is at an ideal weight, according to the Nestle Purina weight chart. If you compare this picture to the chart below, you’ll see he matches up with the side view of the number 5 dog. Overweight and obese animals are subject to the same diseases as humans and there has been a sharp increase in pet disease, including diabetes, hypertensions and cancer. But all these debilitating conditions are preventable by keeping your pet at a healthy weight. You might be overwhelmed if you have an overweight pet, so we’re laying out the professional tips for getting your furry friend back in shape. Our official dog trainer, The Pooch Coach, is now sharing her training tips in online videos on her exclusive YouTube channel. The Pooch Coach has been hard at work creating new videos, including how to keep your dog from jumping on people, how to sniff politely on leash and how to keep your dog from barking at people. All the new videos have been recorded at SF Dog Connector meetings around the Bay Area where The Pooch Coach gives free training tips and advice. You can see up for free meetups through her Facebook page.